If getting some time off with your partner has been on your mind lately, this comes at a rather apt time. 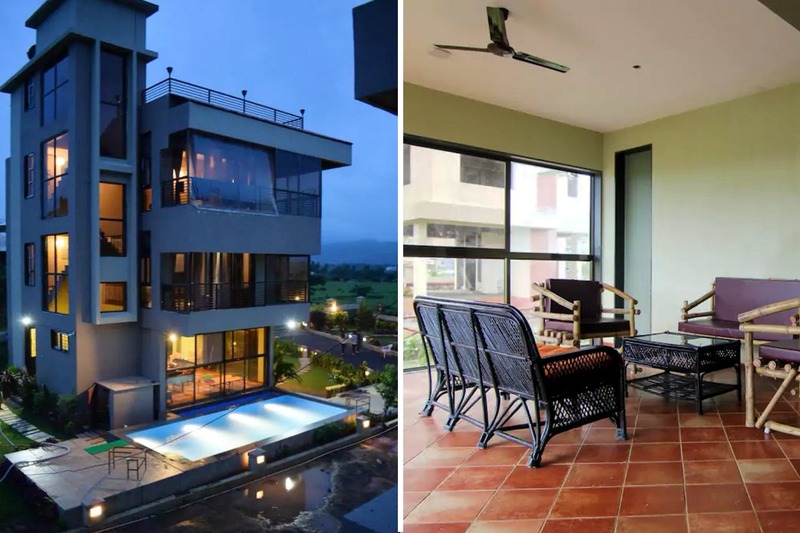 A villa that rests fabulously in the town of Lonavala, Kesar Villa is what vacation goals are made of. Perfectly adept to hold a party of sixteen, it boasts of modern architecture and dreamy interiors. With an outdoor pool to lounge at and a fully-equipped kitchen to run your culinary experiments, you can be assured that you're in for a good time here. Priced at INR 7,450 per night, it's one of the most affordable options on the radar. While you will be treated to modern facilities, the view is spectacularly rural. With lush green fields flanking the bungalow, you will have lots of time to take it easy on the terrace or the numerous balconies here. We are very close to hitting the ‘Book’ button on this one. Don’t leave home without your sunscreen, sunglasses, snacks for the road and clothing, apt for the hills.